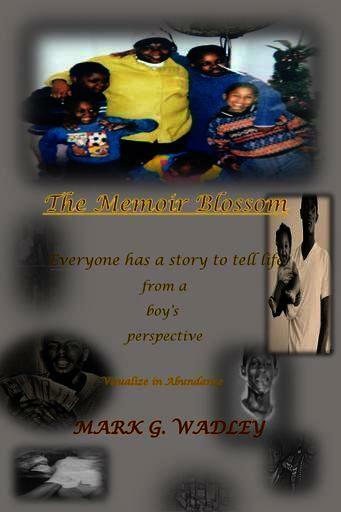 The Memoir Blossom is a Poetic motivational piece that gives the reader an insight of not only using the essence of life as motivation and keeping a bright light shinning, but its a pedal stool for those who wandered off too far into the wilderness that needs their Will of Fire ignited. Creating your life's journey is the first spark of igniting your Will of Fire. The down falls and up rises we encounter in life are the pen and pencil that writes our life story in history. Your dreams and goals is the bond that seals your legacy. The purpose of producing the Memoir Blossom is to reconstruct the minds of those who believe a dream isn't possible, and motivate those who Will of Fire hasn't been sparked into the journey ahead. Introducing the path of God to people who don’t know that he seeks their salvation, and maintaining the words of scripture within any congregation. Believing in the share will of a true apostle for guidance and unwrapping the reality of integrity. Identifying how love and hope fade before my eyes, my community is tearing itself apart and violence has become an aspect of sports and games. The tears and bones of broken spirits needs the attention of medical aids and health patches. I continue to experiment with different theories and opinions on how to unravel the secrets of the world through my own observations, but the trials and turning points in my life are in full affect. Providing the essential idea and dedication of possible goals and rising above all failures will become the start of ambitious scholars of the future. I believe reaching out to the youth generation and giving them the chance to witness other experiences and soaking the consideration of others, who endured the challenges of life as a tool to shape the youth generation into achievers. I believe that the love of every individual who believes in the faith of dreams and wisdom will become the trophies of success, and the root that holds up the pillar will be the burning spark that motivates all youth among society to become the inspiration for the next generation. Wash away the waters where champions dance, sleep within the mist of the vertical proportions where the victors stands and the fault line meet. Sunset on wood silk butter, as I shine the armor that’s passed down through the bold and gallant. Wise free engagement, warmth of the kettle that stays lit pass dawn until the pyramids of Egypt reconstruct. Find the plants and vines, strain the venom from the honey oil of our divine nature. Scales from the dragon’s belly, fire of black flames ember crest plate, phoenix flower blooms boom, all white hills among the tune. Look off into center piece that shines from the belly of the beast of the beauty, please feed the faces of vision. As I look unto my brothers I see the love of what a real brother and friend stand for. Brother oh friend I love thee amount times ten. Carry the ghost of Mandela, become the spirit of Harriet but the freedom of Turner sparks the rebellion out of oppression. Places of witches which lie within the labyrinth, between soldier’s march among hollow grounds, catacombs of skulls and gold. The Bold champion plunges the demons and monsters that dwells within. Home of comfort, grapes and oranges juices from a valley between triple mountains on the river path to Michael. People of bronze, natural essences of beauty from the divine. Soaring, floating among the old faces that labored beyond the walls of foundation. Flavors of core hydration and fundamentals, nutrients enhanced, run child, chase the trumpets of champions, within the locked plastic that wraps the bowl we craft. Protect, oh yes protect, protect of protection within the proceed of product, blame the ones who gives up and allows the city to burn to ashes. Rebirth of congress, hold onto the lessons of love that dwells among the leaves. I stand and fight for those who does not have the courage to face the fight in between the shadow of themselves. I stand and fight for the people who has no chances to depict a vision. Honor the knights armor that has been passed down unto you, many has shed blood and deceived the righteous to continue to survive, remember those who remember you. They come in many, they come in numbers, but dare shall I never stumble again in front of my loved ones, won’t ever close an eye to bare a tear, for I shall prevail and never swear. Beware, foresee and then decide, embark, learn within and apply, for you will win.